11:30 AM – 10 PM | Taste of the Southside | 1135 Mission Rd. 3 PM – 9 PM | Fiesta® Fiesta at Hemisfair | Hemisfair | 434 S. Alamo St.
5 PM – 9 PM | Taste of the Republic | 555 S Alamo St.
6 PM – 11 PM | Fiesta® Carnival | Alamodome | Lot C | 100 Montana St.
10 AM – 12 AM | Fiesta® de los Reyes at Market Square | Market Square | 514 West Commerce St.
5 PM – 12 AM | Fiesta® Carnival | Alamodome | Lot C | 100 Montana St.
5 PM – 12 AM | Taste of New Orleans | Sunken Garden Theater | 3875 N. St. Mary’s St.
7 PM – 12 AM | Rey Feo Crown Celebration | Henry B. Gonzalez | Convention Center | Lonesome Dove Room | 200 E. Market St.
7:30 PM – 12 AM | WEBB Party | The Aztec Theatre | 104 N. St. Mary’s St.
8 PM – 1 AM | Fiesta® Masquerade Party | Hilton Garden Inn Live Oak | 8101 Pat Booker Rd. 8 AM – 8 PM | Fiesta® Women’s & Co-Ed Soccer Tournament | Star Soccer Complex | 5103 David Edwards Dr. | Schertz Complex | 75 Maske Rd. 8 AM – 5 PM | Texas Corvette Association Car Show | Boerne Main Plaza | Main St.
8:30 – 2:30 PM | Southwest Olympic Fiesta® | Southwest ISD Sports Complex | 11914 Dragon Ln. 10 – 11 AM | El Rey Fido Coronation | Sheraton Gunter Hotel | 205 E. Houston St.
10 AM – 6 PM | Fiesta® de los Ninos | Port San Antonio | 200 Donald Goodrich Rd. 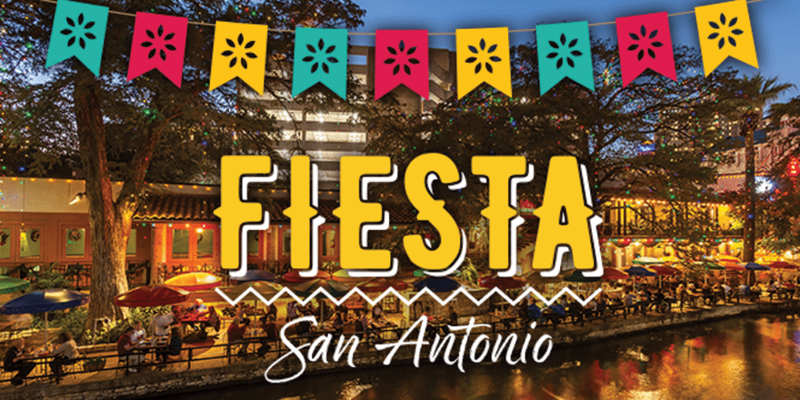 10 AM – 1 AM | Fiesta® de los Reyes at Market Square | Market Square | 514 West Commerce St.
10 AM – 2 PM | Viva Botanica | San Antonio Botanical Garden | 555 Funston Pl. 11 AM – 12 AM | Fiesta® Carnival | Alamodome | Lot C | 100 Montana St.
12 – 10 PM | Piñatas in the Barrio | Plaza Guadalupe | 1327 Guadalupe St.
12 PM – 12 AM | Taste of New Orleans | Sunken Garden Theater | 3875 N. St. Mary’s St.
1 – 4 PM | Miss Margaret’s Victorian House Tour | Margaret Gething House | 409 E. Guenther St.
7 – 11 PM | Patriotic and Historical Ball | La Villita Assembly Hall | 401 Villita St.
10 AM – 2 PM | Fiesta® Olé | Hyatt Regency Hill Country | 9800 Hyatt Resort Dr.
10:30 AM – 3 PM | Champagne and Diamonds Brunch | Witte Museum – Mays Family Center | 3801 Broadway St.
11 AM – 11 PM | Fiesta® Carnival | Alamodome | Lot C | 100 Montana St.
11 AM – 4:30 PM | Fiesta® Kings Cup | Olmos Basin Park | 651 Devine Rd. 12 PM – 8 PM | Deco District Arts and Music Festival | Deco District | 1800 Fredericksburg Rd. 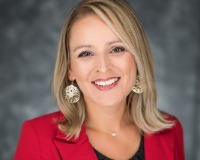 12 PM – 11 PM | Taste of New Orleans | Sunken Garden Theater | 3875 N. St. Mary’s St.
3 PM | A Day in Old Mexico & Charreada | Rancho del Charro | 6126 Padre Dr.
1 PM – 4 PM | Miss Margaret’s Victorian House Tour | Margaret Gething House | 409 E. Guenther St.
10 AM – 3 PM | Fiesta Especial® Celebration Day | Alamodome | Lot C | 100 Montana St.
5 PM – 12 AM | Fiesta® Gartenfest | Beethoven Halle and Garden | 422 Pereida St.
5:30 – 10:30 PM | NIOSA® (A Night in Old San Antonio®) | La Villita | 418 Villita St.
8 PM | Coronation of the Queen of The Order of the Alamo | Majestic Theatre | 224 E. Houston St.
5:30 PM – 10:30 PM | NIOSA® (A Night in Old San Antonio®) | La Villita | 418 Villita St.
6 PM – 12 AM | Fiesta® Carnival | Alamodome | Lot C | 100 Montana St.
12 PM – 12:30 AM | 10th Street River Festival | 10 10th St.
7 PM – 10 PM | Dance with The King Fiesta® Square Dance | Tri-Point Center | 3233 N. St. Mary’s St.
11 AM – 3 PM | United Way Kids Festival | Lockwood Park | 801 N. Olive St.
10:30 AM – 11 PM | San Jose MissionFest | 701 E. Pyron Ave.
1 PM | All Veterans Memorial Service | Veterans Plaza | E. Martin at Jefferson St.